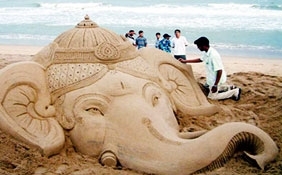 Ganapatipule beach is fast growing as one of the popular tourist destinations of western India. 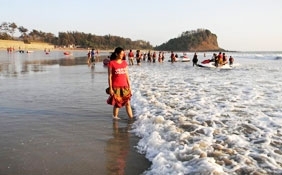 The breathtaking beauty of the virgin beaches on the Konkan coastline, serenity of the Ganapatipule village, Dwardatas scriptures, and pleasant climate, makes it a favorite with travelers. 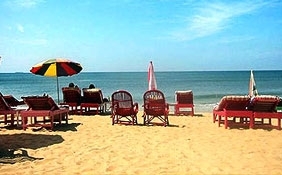 Ganapatipule beach is an ideal place to go for a relaxing weekend with your friends and family. 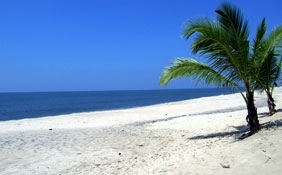 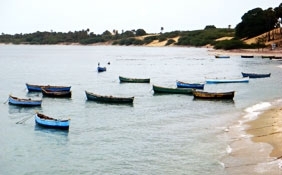 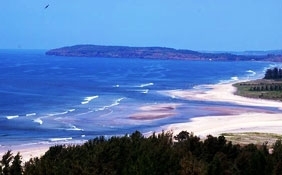 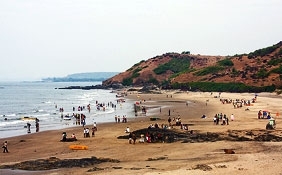 Ganpatipule beach is situated along the Konkan coast. 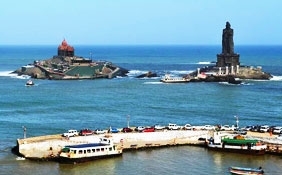 It is located around 375 km south of Mumbai. 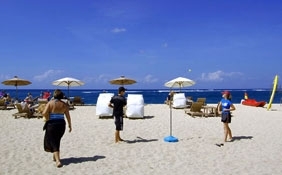 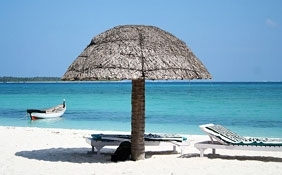 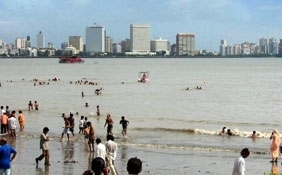 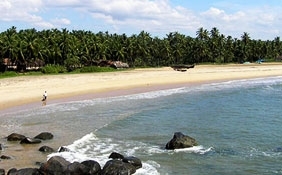 The beach is very conveniently located and is easily accessible from Mumbai. 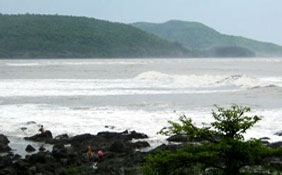 Ganapatipule beach is situated 50 km from Ratnagiri. 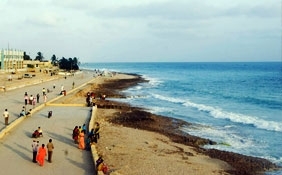 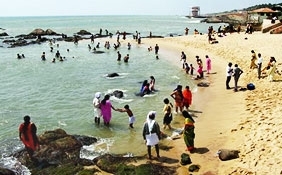 Ganapatipule Beach can be reached by train or bus. 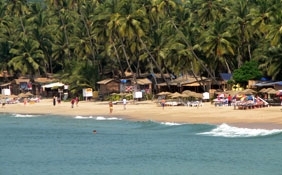 The nearest railway station is Konkan Railway station. 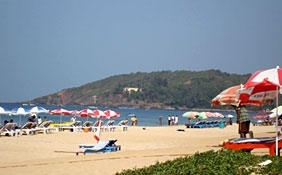 Travelers can also get down at Ratnagiri railhead and take a cab to Ganapatipule. 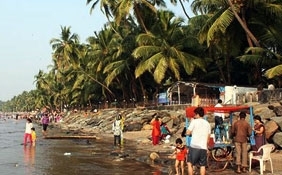 You can take S. T. buses from Mumbai and Ratnagiri to Ganapatipule. 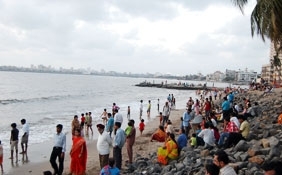 The nearest airport is Mumbai. 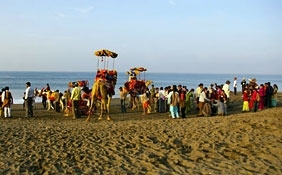 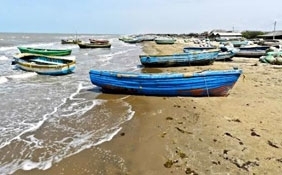 Ganapatipule beach in Maharashtra is ideally situated for exploring a number of tourist attractions, which include, Malgund, Pawas, Jaigad Fort, Ratnagiri, Velneshwar, Marleshwar, Derwen, and Parshuram. 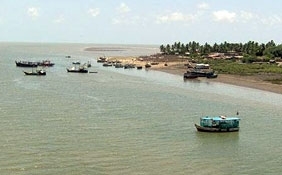 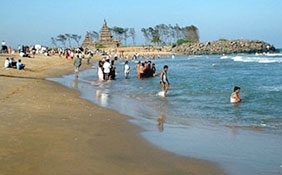 Ganapatipule beach is also well known for the 400 year old Swamyambhoo Ganpati Temple, after which the village is named. 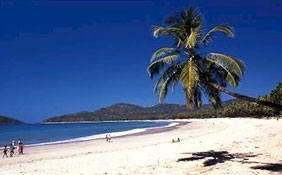 You can also visit the Thebaw Palace. 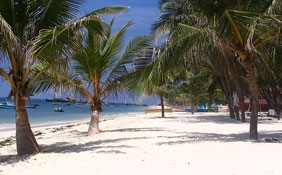 The famous historical building was constructed in 1910-11 to accommodate the exiled king and queen of Burma from 1911-1916. 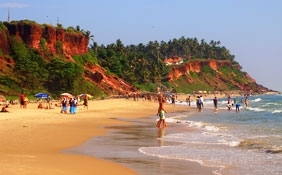 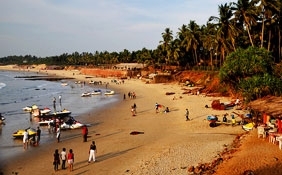 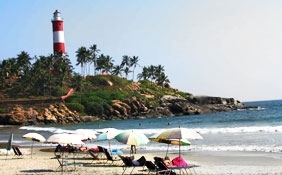 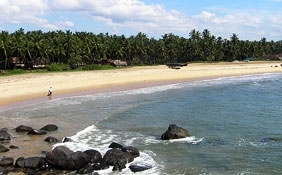 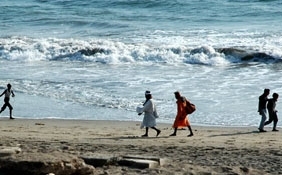 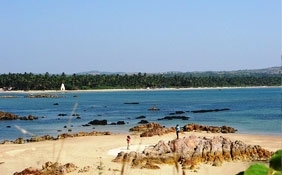 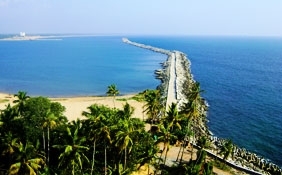 Other local attractions in and around Ganapatipule beach include Velneshwar beach temple and Swami Swarupanand's Ashram. 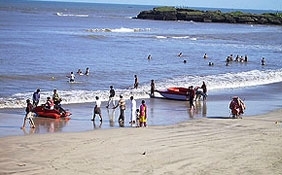 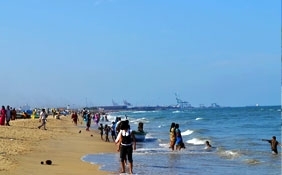 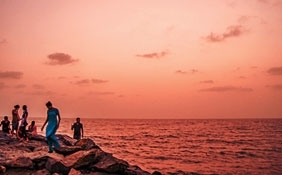 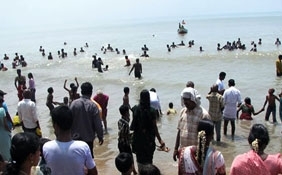 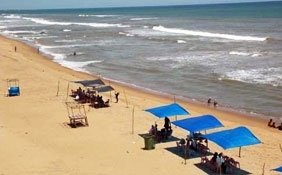 Popular activities at Ganapatipule beach: Swimming is one of the most popular outdoor sports activities in around Ganapatipule beach. 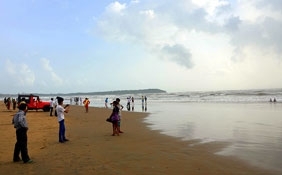 Travelers can go to the local Velneshwar beach temple and Swamyambhoo Ganpati Temple, where religious programs are held regularly. 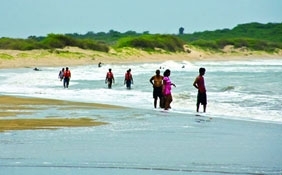 You can also go for long romantic beach walks along the Konkan coastline, with your beloved, hand in hand.